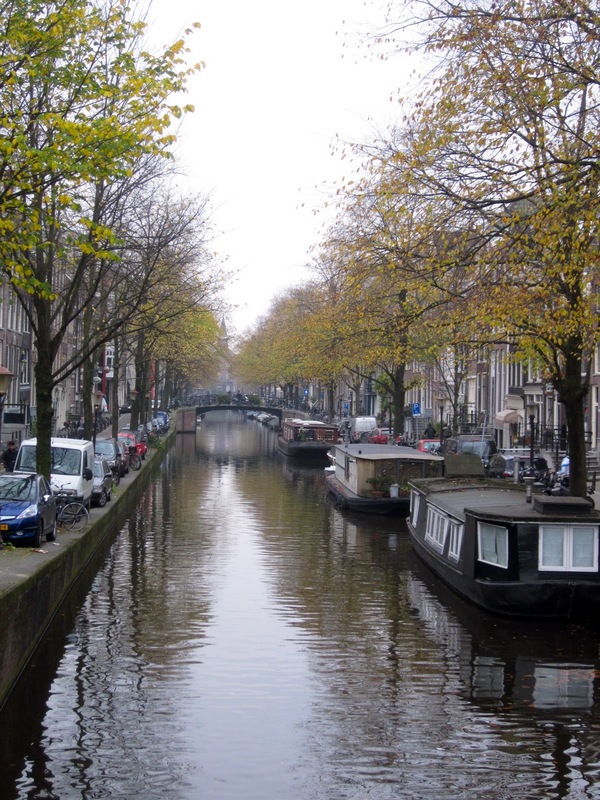 Amsterdam has been called the Venice of the North on several occasions, a nickname referring to the numerous canals cutting through the city. Spanning these canals are picturesque bridges, arching over the water and covered in small cobblestones, crossed by pedestrians and bikers alike. Looking out from one of these bridges, you see narrow, long streets winding parallel to the canals, with houses along those car- and tree-lined roads. Many of the buildings are from the late 15th and early 16th centuries, quirky and characteristically narrow. This is the Amsterdam of fairytales and storybooks, still preserved and enjoyed today. The streets are narrow, with buildings lining each side and sometimes literally leaning in towards the street. Maybe people got the nickname wrong... some of these buildings make me feel like Amsterdam may be the Pisa of the north. 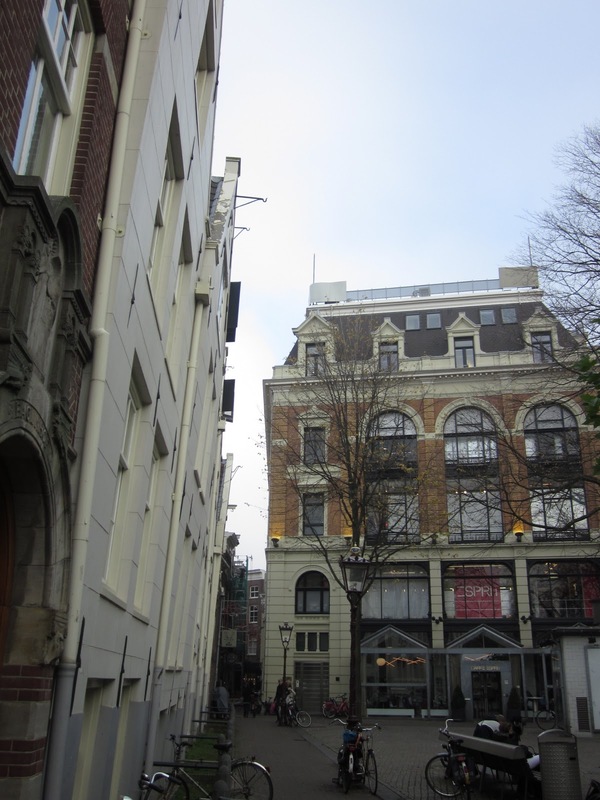 The buildings themselves have several architectural details that make them uniquely Amsterdam. 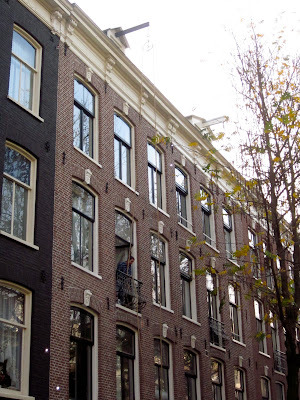 Normally, there are three or more floors above the ground floor in an canal house. The floors are all linked by stairs that have been lovingly nicknamed "leg-breakers." Why? 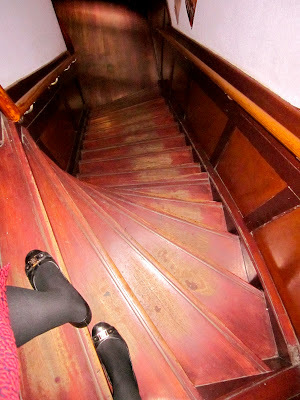 Due to space constraints, stairs have very little depth, which make for really steep staircases. As a result, you end up hitting your shin on each step if you try to ascend the stairs normally. Yeah, those bruises aren't going away any time soon. The tops of buildings along the canals have gables. A Dutch gable is an architectural detail at the top of the front of a building that hides the unattractive pitched roof behind and can be used to date a building. 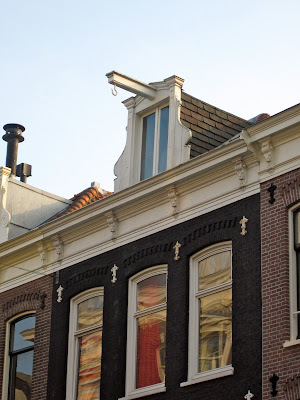 For example, a "neck gable" tells that the building was constructed sometime between 1640-1790. 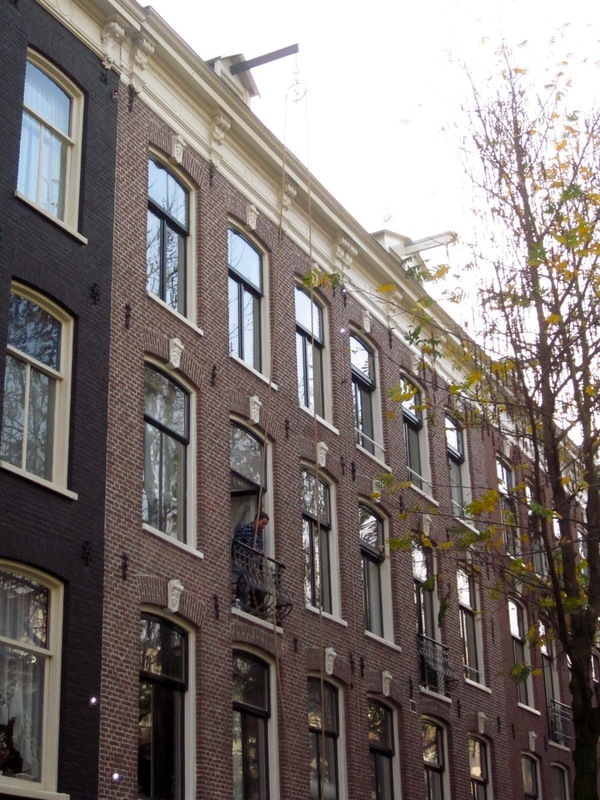 As a result of both the steep steps typical of canal houses and narrow hallways, many of today's modern necessities cannot be transported into apartments via staircases in Amsterdam. People obviously are not going to do without their couches and widescreen TVs, and just as city dwellers of the 18th century were unwilling to do without their chairs and armoires. That's where the gables begin to serve a purpose: if you look closely, you will see the hooks on beams that stick out from each gable. Whenever it comes time to get rid of an old sofa or move in a new bed, a rope is slung through the hook. From there, a good ol' pulley system comes in handy as the piece of furniture is literally hoisted through the air, up the front of the house, to the apartment. I didn't get a picture of anything actually being lifted, so I'll redirect here. Exposed wood --> Rot over time --> Saggy casa!